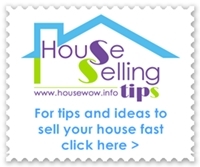 Registering with Estate Agents as a buyer is something you should do as soon as possible. After that, building up a good relationship is really important to finding out about new listings quickly and being taken seriously by the Agent. Don't forget they work for and are paid for by the vendor, but they will appreciate a committed and communicative buyer. When you are first registering your details it's preferable to take the time to visit the Estate Agent's office in person. The best Estate Agents will appreciate you've made the effort to come in and will want to know about your status and whether your finances are in place in principle to be able to offer on a property. You'll learn far more about the housing market if you schmooze and keep in regular contact with the Estate Agents. You need to be remembered. Preparing a 'Buyer's Pack' will show how serious you are. It should include a letter about a mortgage, evidence from your bank about the deposit you have available as well as your solicitor's details. With a buyers pack to hand you will be ready to formally register with all the estate agents in your chosen area. Now, if you think it's time to sit back and wait for your estate agent to let you know about new property for sale; then you'll certainly miss the best new property coming onto the market. Don't wait for estate agent property details to drop through your letterbox. Keep checking the internet for new instructions and keep your main estate agents' telephone numbers in your mobile favourites and make weekly calls to ask about any new instructions. Work hard at developing relations with agents but don't give too much information away - remember they work for the other side. However, Estate Agents love to know that you are a keen, willing and able buyer - ready to view property quickly and make a decision. If they think they can brew a good deal before the expensive marketing machine kicks in then you could be the first through the door with the opportunity to make an offer on a property before other potential buyers have seen the print dry on property particulars dropping through their letter box.